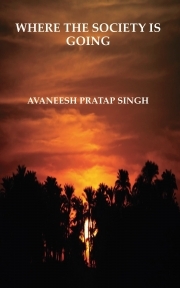 Description of "WHERE THE SOCIETY IS GOING"
Avaneesh Pratap Singh (1 september 1999)is now working as a student in Ghazipur, Uttar Pradesh. He started writing when he was only 13 years old.As a result writing became his hobby. Reviews of "WHERE THE SOCIETY IS GOING"
hmmm .. nice book. it is raising voice against social evils... but we can just hope that it will root out these social evils.